The Community Science project – set up by the Moors for the Future Partnership and supported by the Heritage Lottery Fund – is asking people to record signs of autumn in a bid to track the effects of climate change on the natural world. 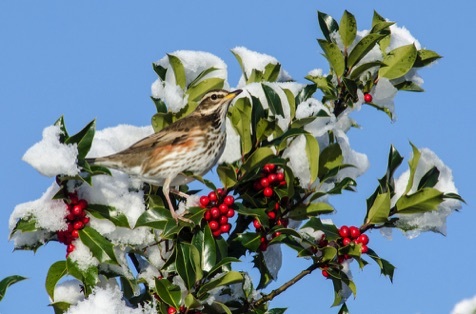 The public are being urged to send in their sightings of redwings – a species of thrush which spends the winter in the UK – and also to volunteer on regular walks looking for signs of autumn such as ripe berries or leaves falling from plants. It is hoped that volunteer surveys can detect mismatches in timing between the fruit produced by upland plants such as rowan trees, and the birds which flock to the UK to feed on them. During autumn and winter, redwings migrate from their breeding grounds in Scandinavia, Russia and Iceland to the relative warmth of the UK. They have a striking white stripe above their eye and red patches under their wings, and can often be heard making a soft 'seep' call as they fly overhead at night. 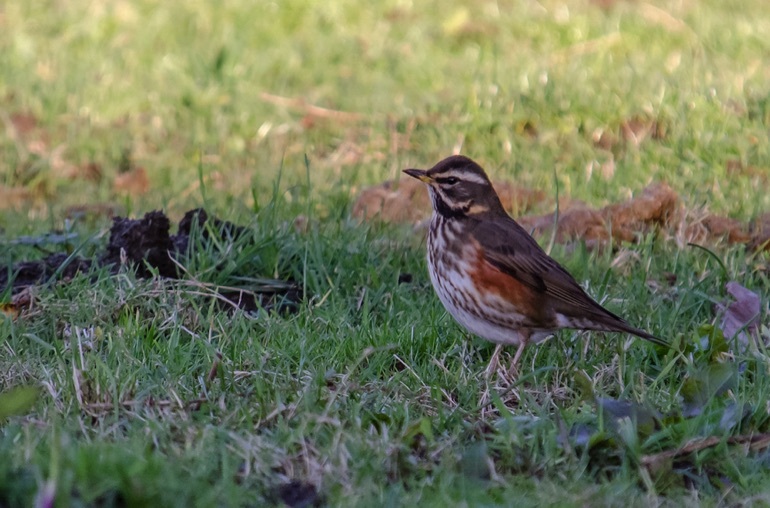 Public observations will help to show whether redwing arrival and departure dates and the food sources they are using are changing over time. MoorWILD is available for Android and iOS and is one of a series of free moorland-themed identification apps produced by Moors for the Future Partnership.